Vinicio’s career began as a behavioral therapist in 2005. Throughout his 13 years in the field, he’s had many roles including parent training, program coordinator, and staff coordinator. As a clinical coordinator, he managed and expanded services. 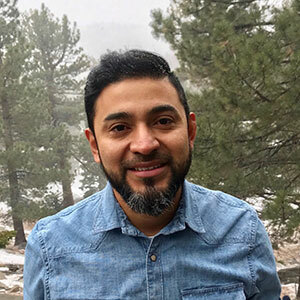 Having learned through his many roles and with encouragement from Dr. Sadeghi, Vinicio earned a master’s degree in ABA. Vinicio loves to travel to new places where there’s a beach and plenty of seafood to eat. He enjoys playing soccer and basketball, as well as snorkeling, kayaking, and body surfing. He and his wife volunteer for an organization that provides food and clothing to homeless on Skid Row, and at a non-profit organization that promotes higher education for high school students.